In an exhibition on architecture it is rare that a building can be shown to scale. Often, drawings and models of future structures must placate the viewer’s imagination. It is, therefore, particularly significant that Kunsthalle Bielefeld has been able to erect a key work by architect Sou Fujimoto, the so-called ‘Final Wooden House’, in the Kunsthalle Sculpture Park – and not only because he received an international architecture prize in 2008 for this work, but above all, because it makes it possible to experience something of the concept of space that distinguishes Fujimoto’s oeuvre. The Kunsthalle Bielefeld currently presents the first monograph and exhibition on the work of Sou Fujimoto in Europe. 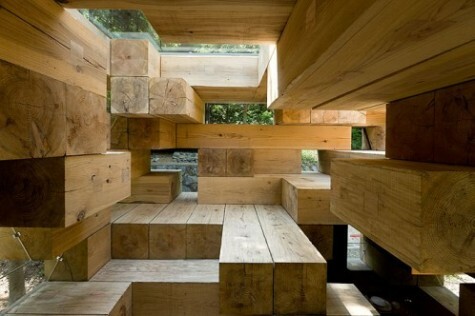 Besides his spectacular designs for houses, Fujimoto is also known for his book, ‘Primitive Future’, published in 2008. In ten chapters he presents his ideas and the development of his entirely different understanding of space. 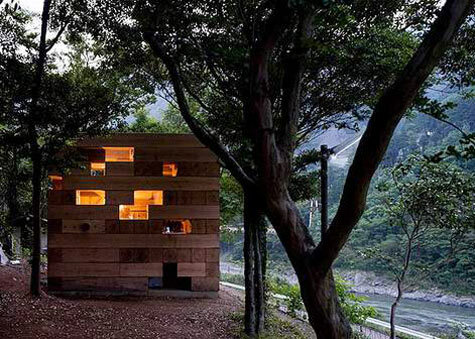 Constantly shifting relationships between interior and exterior is one of Fujimoto’s intellectual leitmotifs.